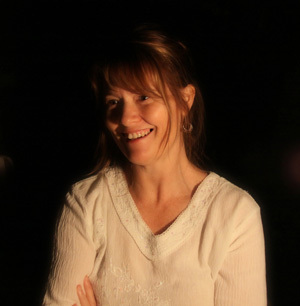 Jenny McIntosh was born in 1964 and raised in the western suburbs of Sydney, later moving to the Upper Blue Mountains. Born into a family of photographers and musicians she was encouraged to explore the arts from an early age. Jenny spent much of her formative years immersed in the Australian bush, developing a connection to that landscape which is often evident in her work. Jenny’s art education has largely been self-directed, with her own research and investigation being the mainstay. In addition, she has had forays into formal education at TAFE and University level. Though circumstances have not allowed for completion, Jenny particularly values those years for the friendships and contacts made, enabling opportunity for further creative growth. Comfortable with most mediums including photography, it is oil painting that remains central to Jenny’s artistic practise. While current work has traditional overtones, it has always been an important guideline that she be open to trying new materials and methods of working, thus allowing the opportunity for divergence within her work. Jenny began exhibiting at an early age and has participated in many group and solo shows. Her work is held in private collections both in Australia and overseas. She currently resides on the NSW south coast with her husband and two cats. *numerous other group shows whose dates are now lost to memory…. the first being the Annual Blacktown Show at the age of 12. Jennifer’s work is also held in numerous local and international collections.